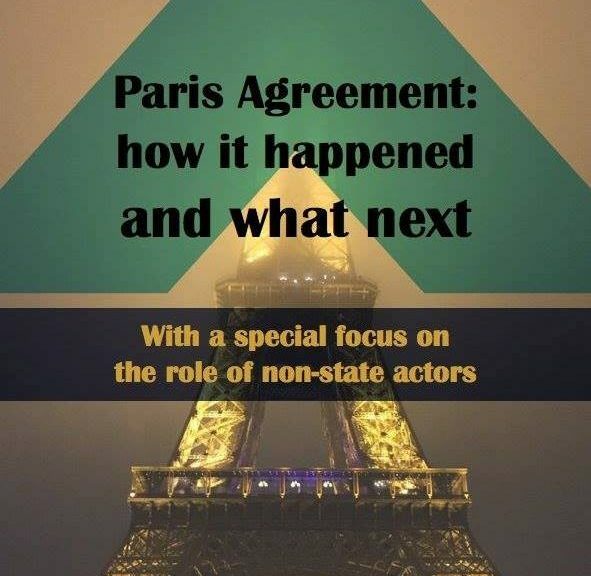 Two weeks after 175 Parties signed the Paris Agreement in New York, and just over one week before the opening of a new round of United Nations climate change negotiations in Bonn, Climate Strategies and Konrad Adenauer Foundation published a new report ‘Paris Agreement: how it happened and what next. With a special focus on the role of non-state actors‘. The Paris Agreement was a major achievement, outlined in detail in the report. But the question of implementation remains a major task ahead. The skilfully negotiated text also leaves potential frustrations and pitfalls which could hamper or delay the much needed increase in ambition and national contributions that are needed to stop dangerous climate change. Also, success will now require moving beyond the sole focus on nation state targets and timetables, to emphasis a broader base of action on a more bottom-up basis. A reflection on city-based action by a major city in the developing world – Rio de Janeiro.